Calling all qualitative researchers! This workshop is a hands-on exploration of how to use NVivo to analyze a range of data types, including video files, journal articles, and external documents. The workshop will cover the mechanics of using NVivo to build nodes, auto coding text and video files, as well as coding files for literature reviews. 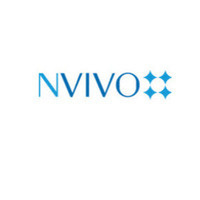 Attendees will become familiar with NVivo’s structure and able to use NVivo to develop nodes and node matrices. To participate in this workshop, you will need to download the free trial version of NVivo to your laptop (https://www.qsrinternational.com/nvivo/trial). The trial expires in 14 days so download this the week of the workshop. NVivo is available in the GIS & Data Lab (7-238) for use outside the workshop. You should also save to your desktop ***at least three*** research articles that are relevant to your area of research interest. Note: The instructor will use a Mac OS machine. Attendees using Windows operating systems will also be able to follow this workshop.